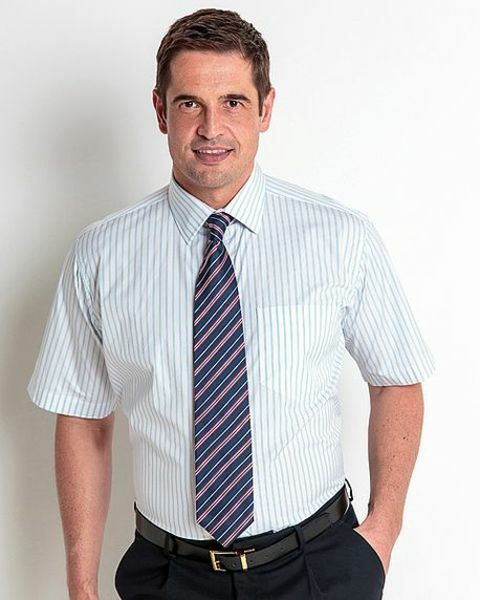 mens blue stripe cotton shirt. Machine washable. "The quality of your shirts has always impressed me but the variety is ..."